This audio teaching was recorded at Kagyu Samye Dzong Edinburgh on Sunday March 24th, 2013. The audio is in mp3 format and runs for 1 hour and 30 minutes. This audio teaching was recorded at Kagyu Samye Dzong Edinburgh on Sunday March 24th, 2013. 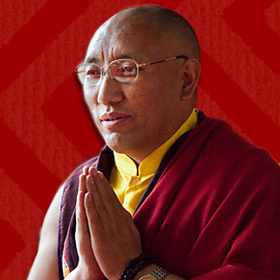 Ably assisted by translator Katia Holmes, Khenpo Damcho Dawa Rinpoche gives guidance on how to negotiate the vast wealth of Buddhist teachings to find what is most appropriate for us. The Buddha’s teaching consists of not one but many paths, suited to different people at differing stages of their lives. 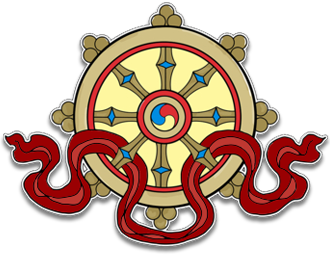 Gampopa often used the Khadampa teachings of the “Three Types of Beings” to show how Buddhists fall into three main groups and hence which teachings are best suited to them at various stages of their development.